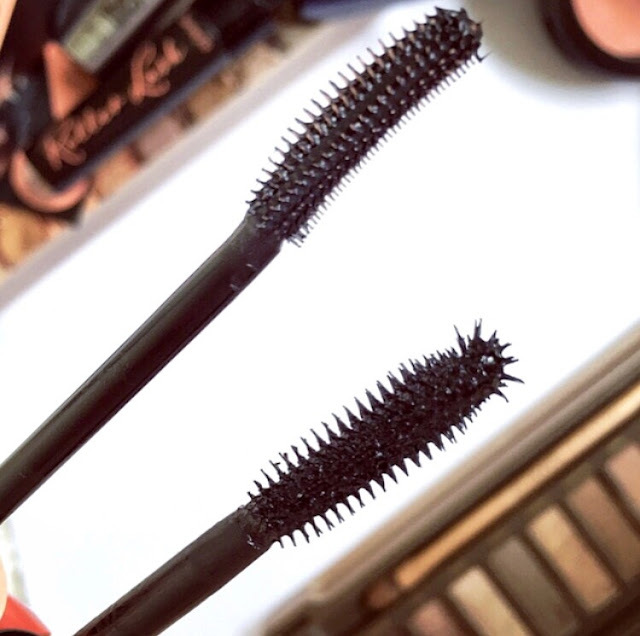 I know, I know, everyone and their mother has wrote a review on Benefit's Roller Lash and They're Real mascaras but I figured one more wouldn't hurt- besides this post is more about comparing the two rather than a simple review. So today I thought I'd write a review about both and then let you know which one I prefer so you don't end up being disappointed after buying the wrong one. I mean, I don't know what you think but £19.50 is a lot to pay for a mascara so you're going to want to get it right before opening your purse and parting with your cash. My first impressions of this mascara weren't all that great if I'm being completely honest but I decided to give it the benefit of the doubt- see what I did there?- as everyone seemed to absolutely rave about it. I can just remember thinking 'yep, this definitely isn't worth £19.50, I've used drugstore mascaras as good as this'. Im really pleased I didn't throw it to the back of a draw as after a few quite messy attempts at trying to get it right I started to realise why everyone loved it so much. Two thin coats of They're Real later and my eyelashes really did look false, they looked so much longer and voluminous. I'm also a huge fan of the wand/brush, it coats even hard to reach lashes and I find it so easy to apply to my bottom eyelashes too- I sometimes have trouble so that's a massive win in my eyes! As much as I love the finished look it gives I have found that with this mascara when it's new it doesn't really give as much volume- hence why I wasn't a fan at first- and then when it's nearing the end of it's life it can clump your eyelashes together a bit too much which then leads to me having a bad makeup day crisis. Yeah, not lovin' that! 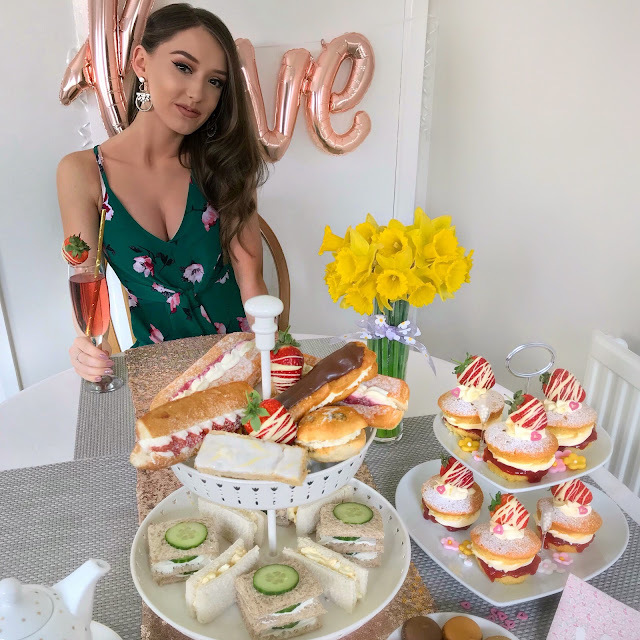 I had really high hopes for Roller Lash as there's been a massive hype surrounding it- every girl I've asked has sang it's praises, and was I disappointed? Not in the slightest! Unlike They're Real it really was love at first application- even after one thin coat I thought 'wow' which for me is rare as it usually takes me a while to get used to a new mascara. Also, how cute is the packaging?! Definitely up there with the best I say! I think it's probably quite obvious just how much I adore this mascara, and if it isn't it'll certainly be clear in a minute. Benefit aren't lying when they say it lengthens and curls because I tell you now it does exactly that! My lashes have never looked so long, i absolutely love the natural look it gives too. Clumpy lashes are no longer a morning disaster either- hooray! I'm being honest, there are no cons. 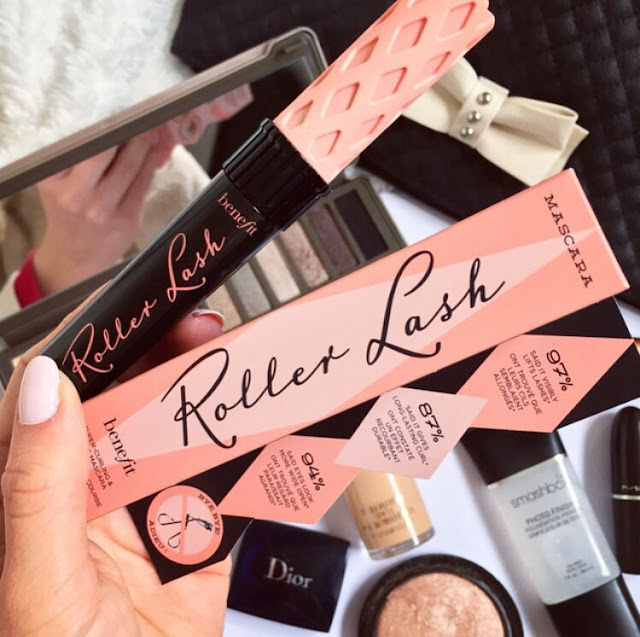 I'm yet to find something I dislike about Roller Lash, I'm struggling to find even a small one, it really is that good. What I will say is it perhaps doesn't volumise as much as They're Real but I've actually found that to be a better thing as it looks more natural and doesn't clump in the slightest- massive pro. I bet you can guess which is my fave, right? 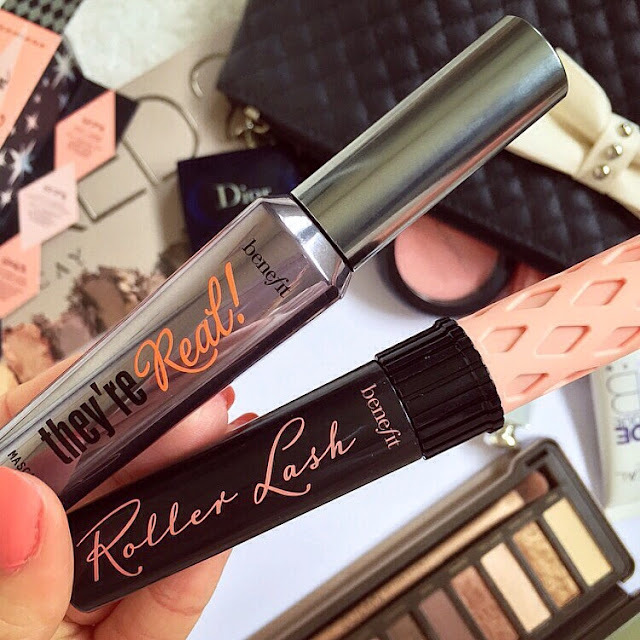 *Drum roll*... yep you've guessed it- Roller Lash wins the battle of the lashes. I wouldn't think twice about purchasing it again and the reason I'd pick it over They're Real is because the length it gives is just brilliant and I've never ever tried a mascara that compares when it comes to lifting and curling them too!